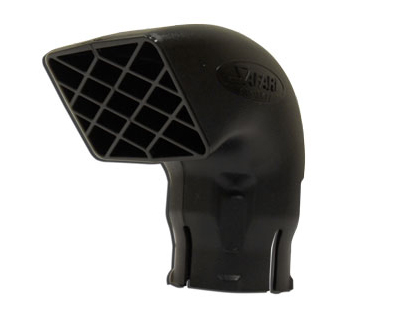 The Safari SS980HF snorkel is tough and stylish and has been designed to deliver a huge volume of the coolest and cleanest air possible into the stock air cleaner assembly of the powerful PX Ford Ranger. 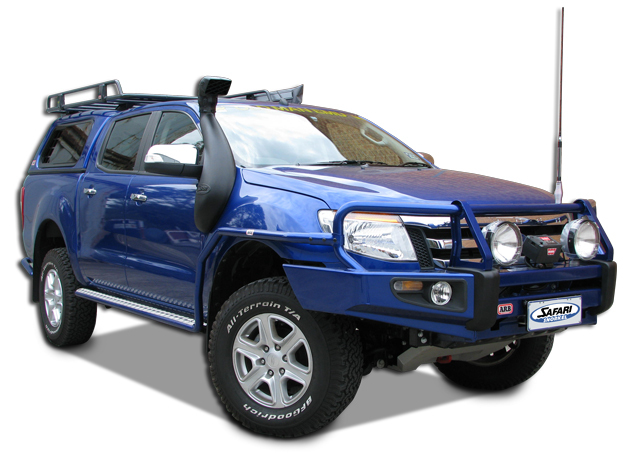 With the huge air flow demands of each engine in the PX Ford Ranger, Safari took the decision to design a snorkel system that not only exceeded the air flow requirements of each engine configuration, but also satisfied the huge mass air flow demands of performance enhanced engines. This of course applies to components that are not visible. 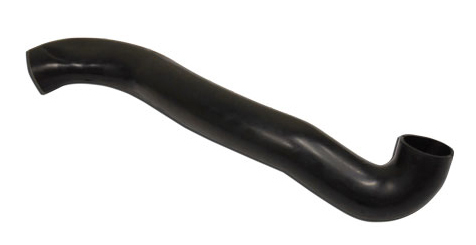 A short high-flow smooth bore tough wall precision formed rubber joiner hose delivers air from the snorkel body directly into the stock air intake assembly. 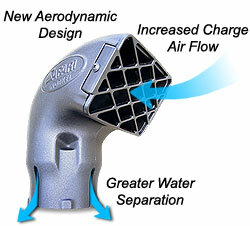 The result is maximum engine performance and the best possible fuel economy. In fact, the engine bay layout becomes even less cluttered for the maximum compatibility with other aftermarket accessories. 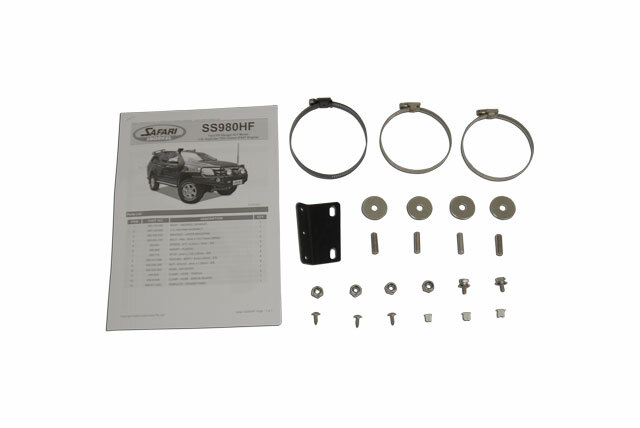 This ensures that the Ford Ranger owner has the most flexibility possible in terms of installing additional under-hood accessories.